With the massive success of the NES and subscriber numbers over a million, it was only a matter of time before the Nintendo Fun Club News morphed into something entirely new. The pros at Nintendo have been hard at work on their new bi-monthly magazine called Nintendo Power, which officially launches later this month. If you’re currently a member of the Fun Club then you’ll most likely receive the premiere issue for free. The magazine promises over 100 pages of NES coverage, so we can’t wait to see what’s in store. The only downside is it will cost you $15 a year (six issues), but hopefully it will be worth it. The June/July 1988 issue of the Nintendo Fun Club News has arrived and it’s hard not to notice that they seem to have phoned in this issue. It’s obvious they’ve dedicated resources to the new magazine, so there’s not a whole lot of new stuff here. In fact, the main feature is a rehash of sports games we’ve known about for a long time and the feature review is Wizards & Warriors – a game that launched six months ago. It also seems like there are more ads than editorial this time around too. Still, we’ve got the full issue for your viewing pleasure down below! After months of talking about it and dancing around with little details, the Nintendo Fun Club News finally shows off the first screen shots of Super Mario Bros. 2. We already had a sneak peek back in May and saw it at the Summer CES, but it’s nice to see some official artwork and a very small glimpse at two of the game’s boss characters: Cobrat and Mouser. We’re hearing the game has seen another slight delay until September or October, so you’re still going to have to wait a bit longer! Also, Nintendo updates us again with another delay for Zelda II: The Adventure of Link. If we hadn’t seen it for ourselves we’d begin to think the game wasn’t real. Now we’re talking! Konami is coming out with a bunch of new games later this year and expectations are high. They’ve consistently put out fun Game Paks over the past two years so we’re looking forward to checking out their new ones. The dates below are tentative and with the chip shortage in full effect, we expect some slight delays to occur. Here it is! Your chance to subscribe to Nintendo’s new magazine: Nintendo Power. It looks like Super Mario Bros. 2 graces the first issue’s cover. If the ad is to believed, the magazine promises to be so good even your dog will want a look! 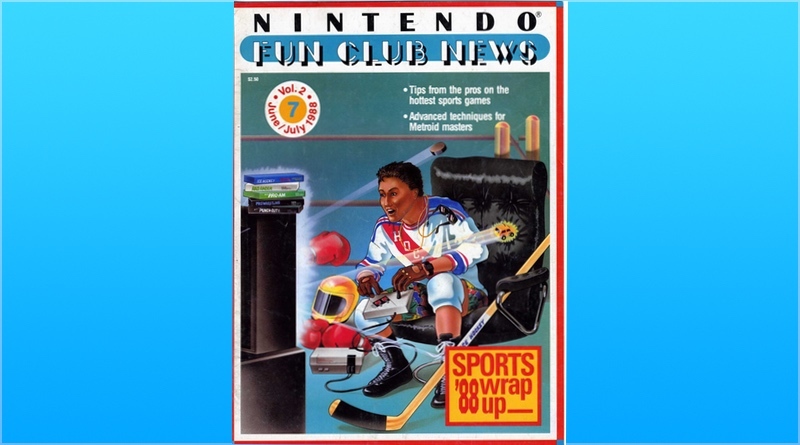 Read the entire June/July 1988 issue of the Nintendo Fun Club News below or download it here.